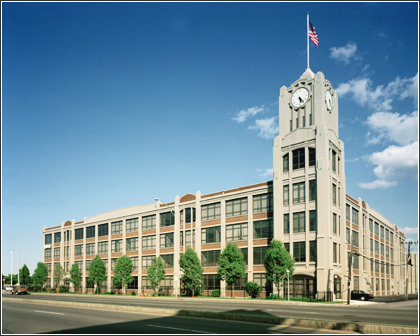 Clocktower Place, Lynn, MA : Dickinson conceived and managed the innovative reuse of a four-story 125,000 square foot industrial building into first class office/research and development space. Completed in April, 2001, the Clocktower Business Center, located in the Lynn Cyber district, is a fully renovated historic landmark. 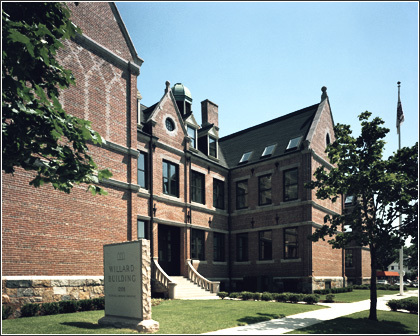 The Willard Building, Quincy, MA : Dickinson developed the concept and transformed a historic 50,000 square-foot landmark school building into a first-class office building, while preserving much of the old school's charm by incorporating original design elements into the final contemporary design. The property has enjoyed nearly 100% occupancy since completion in 1984.